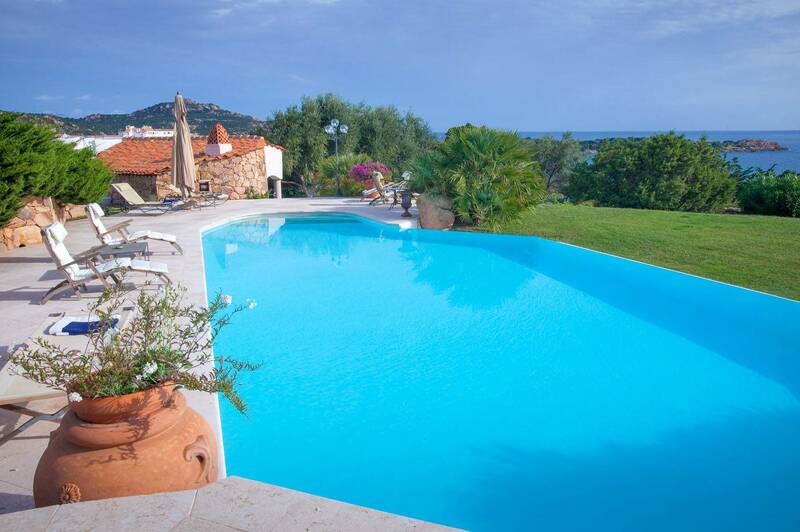 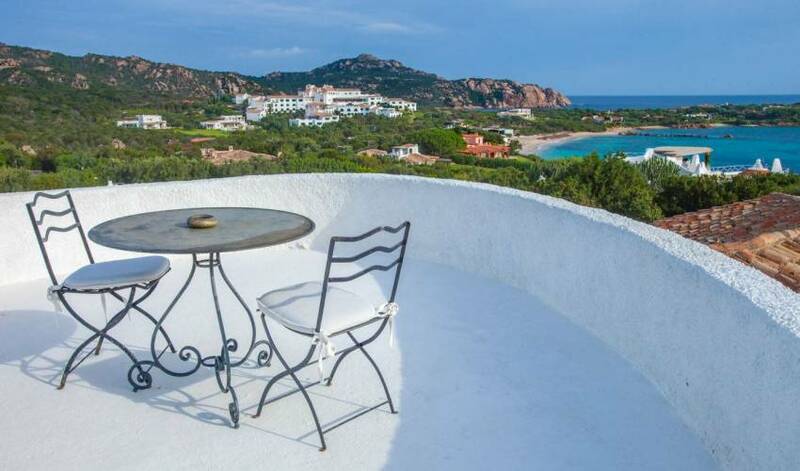 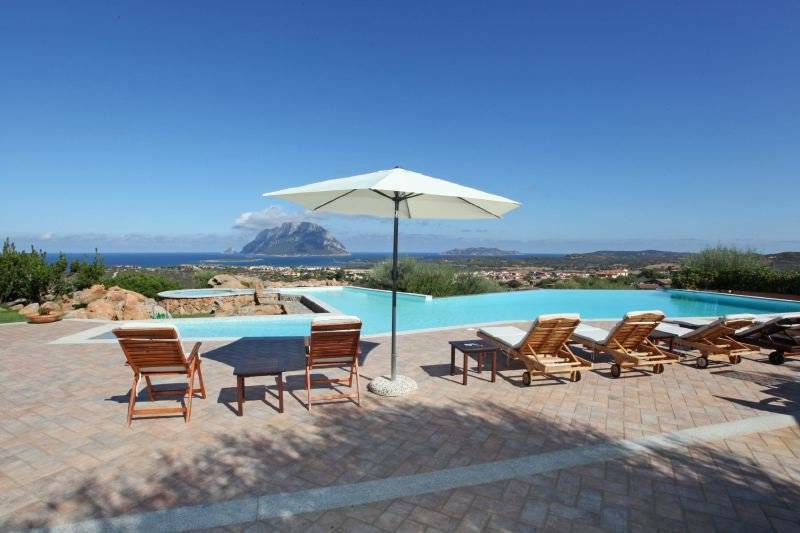 This magnificent luxury villa is located in an exclusive position just meters from the beautiful sea in Sardinia. 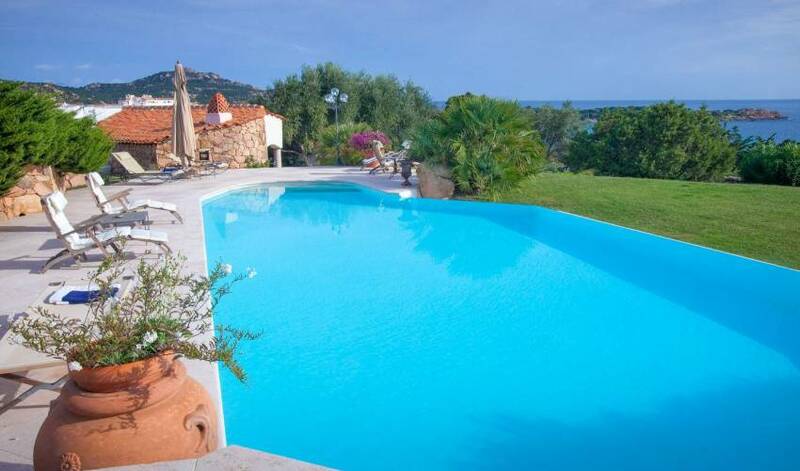 It is in a splendid setting in the best known and most sought after part of the coast. 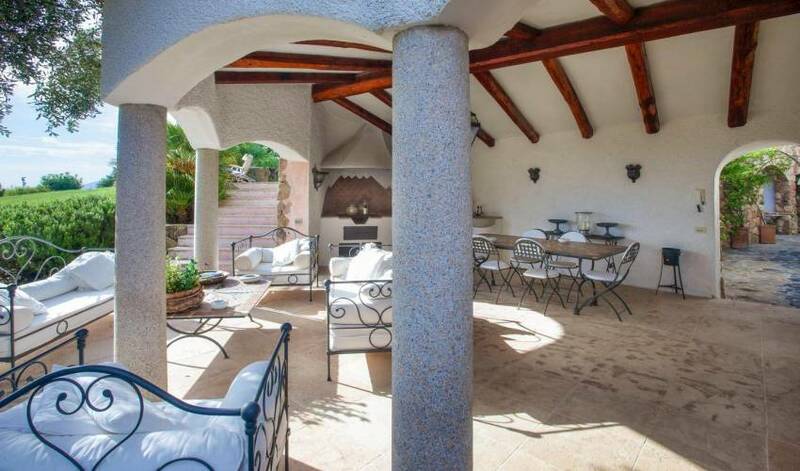 The villa blends indoor and outdoor living seamlessly with plush couches on large terraces inviting the guests to enjoy the beautiful Sardinian sunshine and stunning sea views. 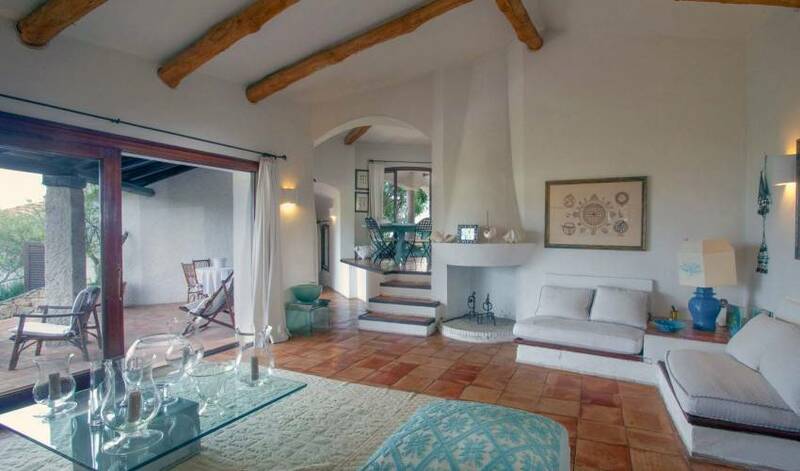 The decor offers a relaxed luxurious vibe with whitewashed walls, local tiles and wooden features throughout the home, the kitchen is equipped with a 6 range stove and all the mod cons to if you wish to entertain in the villa. 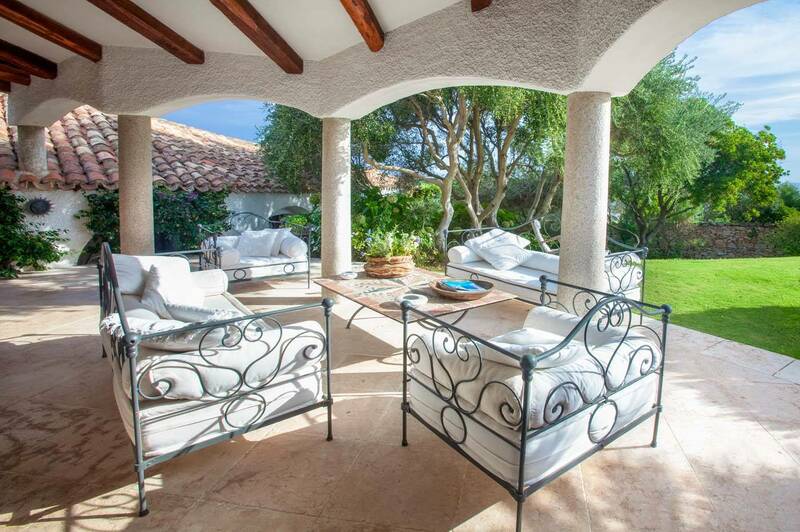 Outside there is a covered patio area with BBQ and a large dining table perfect for alfresco meals, the private pool overlooks the stunning blue bay and is surrounded by expansive manicured gardens. 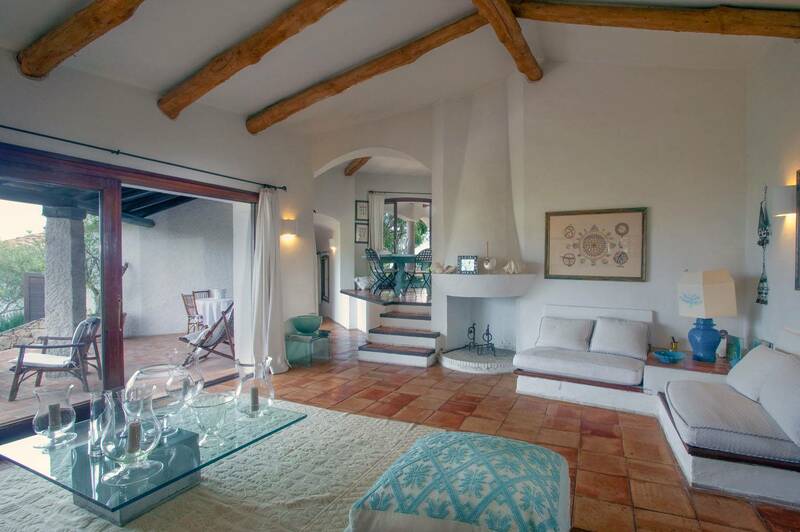 All bedrooms have a/c, and direct access to the terrace and garden. 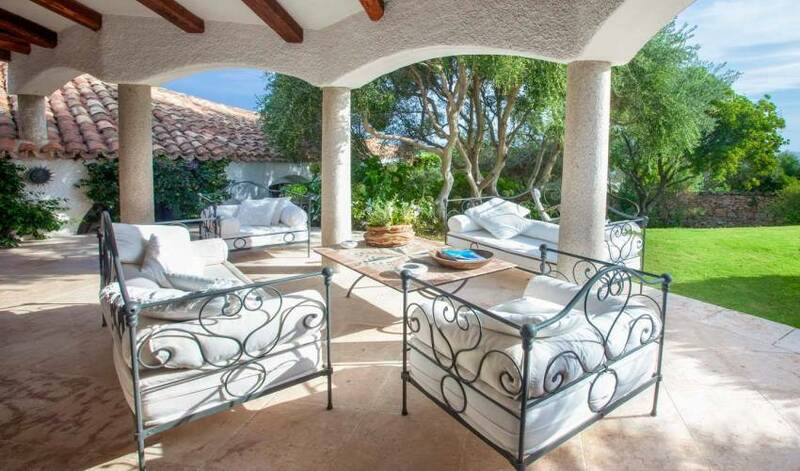 All bathrooms are provided with hair dryers. 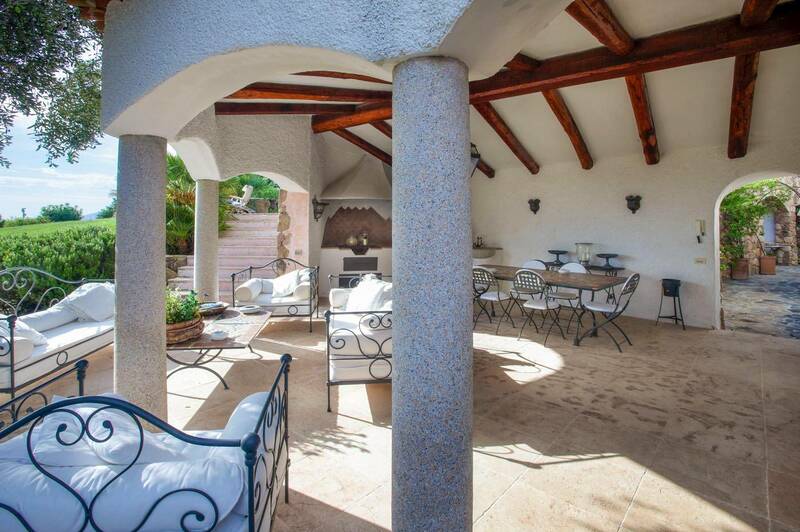 One additional bedroom with private bath is available on the premises, in a separate dependence, in case you want to bring your own staff, or if you want to hire one full time during your stay. 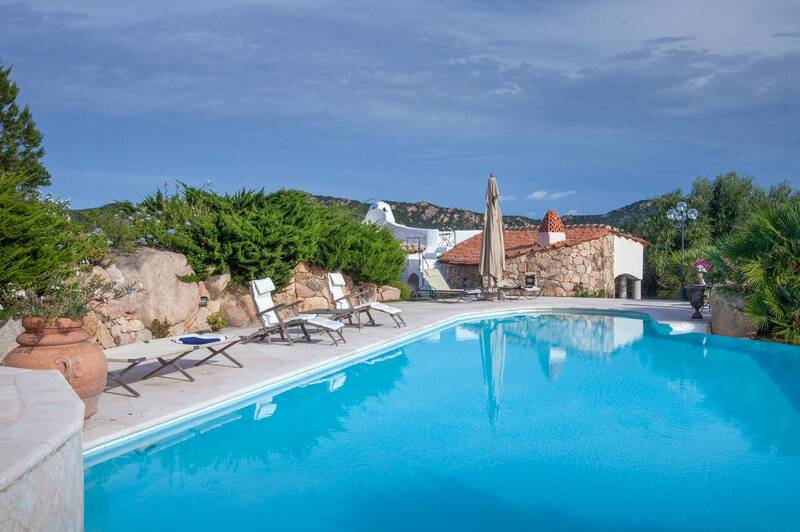 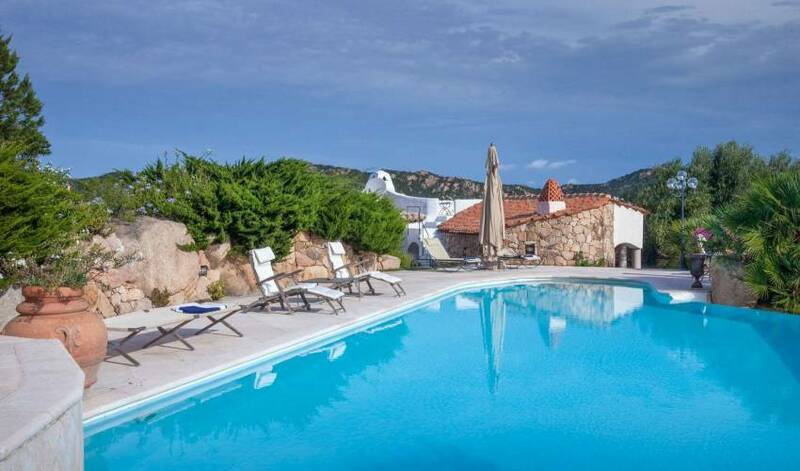 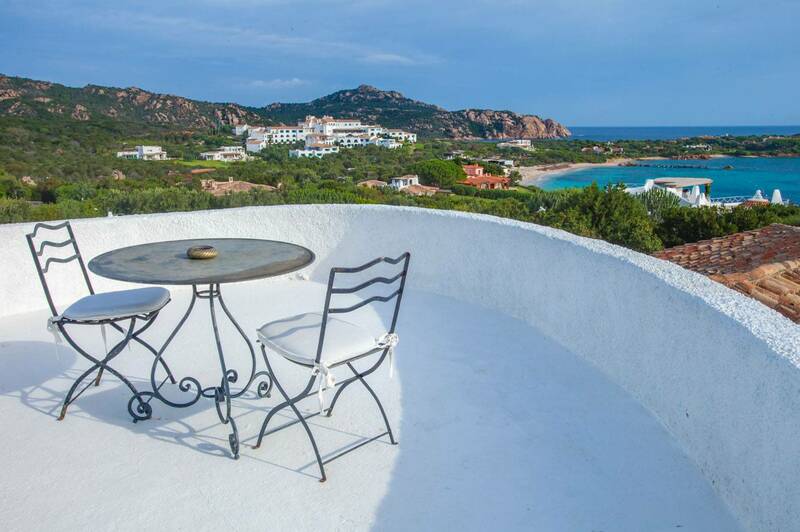 5 minutes walk to Romazzio beach and a 15-minute drive to the bustling town of Porto Cervo.